It is with great pride we announce that Southern Cross Group is nominated for WSABE 2017 Business Leader and Employer of Choice categories following on from our victory at the 2015 WSABE Business Excellence Awards. 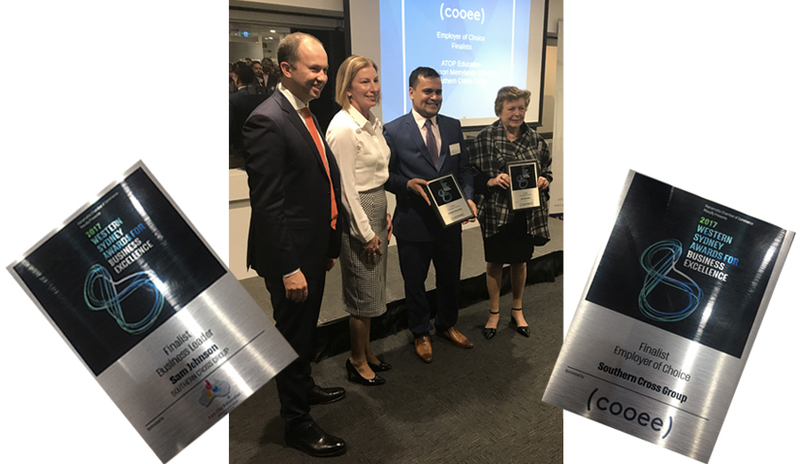 Western Sydney Awards for Business Excellence (WSABE) receives over 300 entries across many categories and once again Southern Cross Group have made it the finalist’s list. CEO Sam Johnson is nominated for Business Leader of the year and Southern Cross Group is nominated in the Employer of Choice category. Fingers Crossed until the winners are announced. See WSABE 2017 finalist’s list here. We wish Sam the best of luck. Michael Long, prominent Indigenous figure in AFL, played for Essendon Football Club between 1989 and 2001. Standing tall against racial abuse throughout his football career, on November 21st 2004 Michael Long walked over 650 kilometres from his home in the suburbs of Melbourne, all the way to Parliament House in Canberra to meet the then Prime Minister John Howard, to voice his concern about racial abuse in sports. He was accompanied by both Indigenous and non-Indigenous supporters on the walk to Canberra.